Keep superior nighttime visibility without losing peripheral vision with the Firefield® Nightfall 4x50 Night Vision Monocular. Featuring a powerful, built-in PULSE IR illuminator, this high quality device produces a crisp, clear image, perfect for use in hunting, security and general observation situations. 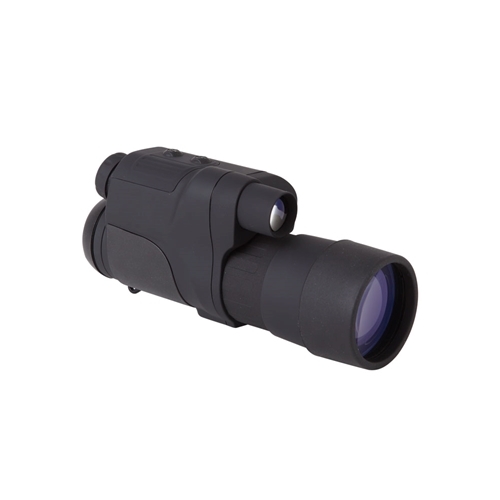 The Nightfall 4x50 Monocular is used with one eye only, allowing the other eye to maintain optimal vision. A high resolution intensifier and multi-coated optics ensure a clear, bright image and detailed resolution. Its modern, ergonomic design features a rubber-armored body and lightweight frame, making a perfect addition to any marksman™s arsenal. The unit is also water resistant, letting nothing stand in the way of your target.